This month we are getting to know the lovely Gabrielle (aka Gabby) of Cake Coquette. Not only is Gabby a pure joy to work with, she is a true artist and pastry rockstar, presenting us with cake flavors such as Hazlenut Cake (lightly soaked in rum, then layered with thin ganache and hazelnut praline cream); Lemon Cake (soaked in a tart citrus syrup and layered with a smooth citrus creme); and Chocolate Coconut Cake (filled with layers of ganache, chocolate buttercream and toasted coconut cream). YUM! Now our stomachs are growling. Read on to get to know a little more about Gabby. A: The special smoothing and sculpting tools I use for icing buttercream and shaping cakes are my most essential tools. A: Any moment not working I am spending time with my almost 3-year-old son and with my family; lately we are working in the garden. A: I can’t think of a venue that I am dying to work at, but I love when I get access to residential homes or venues of architectural significance that may not normally be open to the public. A: I love all dark, wheat, seedy, nutty breads covered in jam. A: This is not very exciting, but if I can get time to read this feels like a guilty pleasure….I’m on the second book of Game of Thrones. A: I watch Jimmy Fallon and Conan every night (from the night before). I just finished the first season of Game of Thrones and am starting to watch The Borghese. A: people who are late. 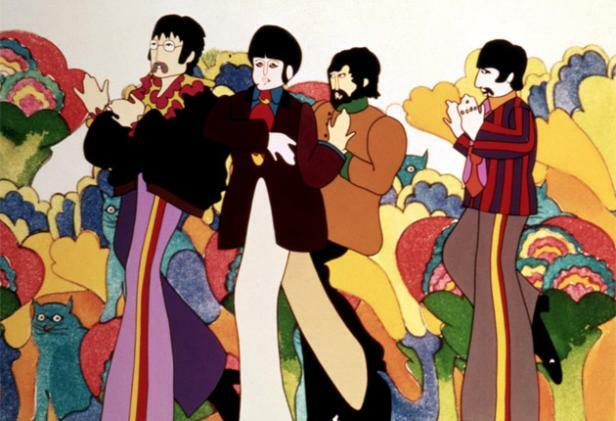 A: The most recent online purchase was from eBay, an unopened set of The Beatles figurines from the Yellow Submarine movie. They are for my son, who is obsessed with the Fab Four. A: A new dress from this amazing store called MAC in Hayes valley. A: To pick a favorite restaurant is too hard, but I am always up for Gracias Madre. A: I love working with the Stacy McCain Event Planning Team because I know that everything about our event will be seamless and stunning. And that we might end up in Martha Stewart Weddings together!! This week, we thought we’d share a recipe written by Allie that will help you soak up the last few days of our Indian Summer here in San Francisco. This vinaigrette packs a zesty punch, and is the very essence of late summer/early fall flavors. Not only is it delicious when used to dress your favorite salad greens (such as arugula, raw kale, endive, purslane, spinach and radicchio), it’s also an unexpected delight when tossed with your favorite roasted vegetables (brussels sprouts, carrots, cauliflower, parsnips, and turnips are all currently in season). If you choose to toss roasted vegetables with this vinaigrette, Allie suggests doing so when the vegetables are hot out of the oven, so that they absorb all of the fresh flavors. Place basil and parsley leaves in a strainer, blanch in rapidly boiling water (that’s been salted so that it tastes like the sea) for one second and remove promptly. Immediately plunge them into an ice bath that’s also been salted like the sea. This helps stop the leaves from continuing to cook and locks in their bright color. Once the leaves are completely cooled, drain the leaves and spread them on clean towels. Roll them to dry them completely. Place in a food processor or vitamix. Turn on the machine, and while it’s whirring begin to drizzle in the oil until it’s incorporated. Set up a mesh strainer, lined with two sheets of cheesecloth, that’s been set over a bowl. Next, pour the mixture into the cheese cloth lined strainer, so that the liquid flows into the bowl, and the solids stay in the cheesecloth. Allow all the oil to drain through at room temperature for a half hour, then use a rubber spatula to press the remaining oil out of the solids. If you like a little texture to your dressing, you can re-incorporate a tablespoon or so of the solids back into the basil oil. Whisk the finely grated pecorino cheese into the dressing. Add a the lemon zest and a small squeeze of lemon juice to taste. Continue to season with kosher salt and lemon juice until you’ve achieved the proper balance of oil and acid. Be sure to check out our last recipe for Celery Root and Parsnip Mash! Wishing you a very happy and safe Fourth of July! Thanksgiving is right around the corner, and we’ve all got menu planning on our brains. We wanted to share a recipe that Allie recently wrote which highlights some of the season’s tastiest produce. It can be dished out into tall shot glasses and served as a passed appetizer, or plated individually and served to guests as a starter at the table. Either way, this beautiful and hearty soup will be sure to impress your guests and whet their appetite this holiday season. Pour in the chicken or vegetable broth, adding enough to cover the vegetables by ½ inch. Bring to a boil and then lower to the heat to a simmer. Simmer for 20-30 minutes, until the vegetables are soft and falling apart. Puree the mixture with an immersion or standard blender, adding more broth if necessary to achieve desired consistency. If you’re using a standard blender, work in batches ~ only filling the blender hallway as the hot liquid will expand while you’re pureeing the soup. Transport soup to serving bowls, garnish with a small amount of pecans and dish up hot.